Jeroen Bauwens holds a M.Sc. in Chemical Engineering Technology. After graduating in 2017 from KU Leuven he started a PhD program focussing on technology development for producing flavourful alcohol-free and low-alcoholic beers. Od stycznia 2013 roku Anton Paar Poland Sp. z o.o. obsługuje Klientów na terenie Polski w zakresie dystrybucji i serwisu urządzeń pomiarowych i kontrolnych wykorzystywanych w pomiarach gęstości, alkoholu, stężeń, lepkości, dwutlenku węgla i tlenu. Łukasz Burchacki jest w firmie od dnia otwarcia oddziału w Warszawie i jest odpowiedzialny za bezpośrednią obsługę Klientów branży napojowej. A PhD student from Ghent University under the European Joint Doctorate in Food Science, a project funded by the European Union’s Horizon 2020 research and innovation program under Marie Skłodowska-Curie grant agreement No 722166. Her research is focused on fermentation in the brewing process. With a Masters in Biological Engineering from Técnico Lisboa, she loves to read and to travel, since both activities allow her to discover not only new places and new people, but mostly herself. Beer is a passion and since she moved to Belgium, she gained a particular taste for Omer, a strong ale with refermention in the bottle of the family brewery Omer Vander Ghinste. Anneleen Decloedt graduated in 2011 as M. Sc. Biochemistry and Biotechnology, Ghent University, Belgium. In 2014 she was the project manager of the Ghenter beer team that won the first and public price at the Belgian Ecotrophelia competition and the fourth price at the European competition at Sial (Paris, France). She has been a PhD student at the Laboratory of Chemical Analysis, Food Safety and Public Health Department (Ghent University) for three years whereafter she successfully defended her PhD in 2015. From January 2015 up to December 2017 she has been working as a research fellow and assistant at the Laboratory of Biochemistry and Brewing of Ghent University and University College Ghent, regularly presenting her work in scientific papers and at international congresses (WBC, EBC and ASBC). In 2017 she also completed a two month research internship about beer at the Proteomics and Metabolomics Facility, Colorado State University (USA). Now Anneleen is a postdoctoral researcher at Ghent University and scientific coordinator in the private sector (quality control for the food industry). Sasa Despotovic is an assistant professor at the Department of Brewing, Institute for Food Technology and Biochemistry, Faculty of Agriculture, University of Belgrade, Serbia. He is giving a course of the Technology of malting and brewing. As a member of several national projects, he was involved in investigating the possibilities for making novel beer products based on their potential pharmacodynamic action. His interests are in microbiology, food safety, development of new beers, functional drinks and sensorial evaluation of beers. Graduated BSc and MSc studies in Fermentation Technology and Technical Microbiology at Lodz University of Technology in 2011. In 2013 he graduated from a double MSc programme in General Management at Lodz University of Technology and Grande Ecole de Commerce INSEEC Chambery, in France. He is currently involved in a PhD research on staling aldehydes at the Laboratory of Enzyme, Fermentation and Brewing Technology at KU Leuven, Technology Campus Gent. The PhD is a part of European Joint Doctorate in Food Science project founded by Marie Sklodowska-Curie grant Horizon 2020. Celina Dugulin started her Joint Doctorate in Malting and Brewing Science at the University of Nottingham and KU Leuven in March 2017. Her project is funded by the European Union’s Horizon 2020 program. After finishing her bachelor’s degree in Nutritional Science at the University of Vienna, she did an internship in Montreal, Canada. Upon return to Austria she continued her studies by doing a Master’s degree with a specification in Molecular Nutrition. After graduating in November 2016, she decided to pursue her passion for travelling, research and brewing and malting technology. After his university education in Brewing Technology at Technical University in Berlin, Andreas Faustmann has built up his brewing profession at the Oettinger Gruppe where he worked for more than 5 years as Technical Project Manager. In 2011, he became a Senior Project Manager at Oettinger International with focus on supervision of license breweries in Russia, Belarus, Kazakhstan and Ukraine. After 8 years at one of Germany’s biggest beer brands, Andreas changed to work at VLB’s Institute for Beer and Beverage Production. Since 2014, he is responsible for brewery consultancy, acceptance tests for breweries and filling plants as well as engineering checks. In addition, Andreas is regularly giving lectures in VLB´s International Training and Education Courses. Marie Sklodowska-Curie Fellow within the European Joint Doctorate in Food Science project. PhD student at the Laboratory of Enzyme, Fermentation and Brewing Technology at KU Leuven, Belgium. PhD student at Bioenergy & Brewing Science Department at University of Nottingham, United Kingdom. Boris is FlavorActiV Director of Global Sensory Management since 2009. Boris began as a Global Sensory Manger where his significant language skills have helped develop business overseas and provide global multi language support to FlavorActiV’s customers. Before Boris joined FlavorActiV he gained a PhD in Food Molecular Microbiology. Daniel Gerhards holds a master degree in Wine Technology from University Geisenheim and Gießen, Germany and has already worked for PALL interims in SLS F&B for GeneDisc support in 2013. During his studies as well as during his PhD project and scientific research Mr. Gerhards gained knowledge in molecular biology, PCR methods and analytics. Daniel Gerhards has joined the F&B Sales Team of Pall as GeneDisc Specialist for Germany, Austria, Switzerland and East European countries in April 2015. Daniel has working experiences in New Zealand, Italy and Germany. Yves Gosselin is an Agricultural Engineer from the Université Libre de Bruxelles (ULB), Brussels, Belgium. He made a Complementary Master in Biotechnology at The University of Liège, Gembloux Agro-Bio Tech and followed the “Complementary Master in Management,” at “Solvay Brussels School of Economics and Management”. Yves Gosselin joined the Lesaffre group in 1990 in the Research & Development pilot plant where he contributed to the development of specific processes for yeasts dedicated to alcohol applications such as wine, whisky, spirits, beer & fuel ethanol. In 2007, Yves joined Fermentis – the business unit of Lesaffre dedicated to create & deliver innovative and dependable ferments & derivatives offering sustainable technical solutions to the benefit of fermented beverage producers – as Technical Manager. Among his duties in the business unit, Yves is responsible for product innovation, quality management & technical support to Fermentis customers worldwide. Korbinian Haslbeck has worked at the Research Center Weihenstephan for Brewing and Food Quality, Technical University of Munich, since 2013 as PhD student. He studied from 2007 to 2012 Brewing and Beverage Technology at the Technical University of Munich in Freising-Weihenstephan and received a Dipl.-Ing. graduation. Dagmar Matoulkova, Ph.D., microbiologist, Manager for research of RIBM. Areas of expertise: identification of microorganisms, brewery microbiological control, polyphasic taxonomy of strictly anaerobic bacteria. Interests: beer :-), irish cobs, traveling. A PhD candidate at the Technische Universität Berlin as one of the eight early stage researchers of the European Joint Doctorate Food Science project. He graduated as Master of Science in Bioscience Engineering Technology (Food Industry) at the University of Ghent (Belgium). He did his master thesis at the Faculty of Pharmaceutical Sciences, where he optimized the analysis of (modified) Fusarium mycotoxins in diverse samples of the brewing process. After graduating he worked at the pharmaceutical fine chemicals industry Ajinomoto OmniChem as a Lab Technician Analytical Development. As a Belgian, he really enjoys trappist beer and loves the good company that goes along with it. Maximilian Michel finished his studies in brewing and beverage technology with a Dipl.-Ing. Degree from TU München in 2014. He then started a PhD program at the Research Center Weihenstephan for Brewing and Food Quality, TU München with the aim of developing a screening system for non-Saccharomyces yeasts for the beer industry. He finished his PhD in January 2018. He now works as a consultant for breweries at the Research Center Weihenstephan. Born in Bremen, Germany, Marcus Pagenstecher studied Chemistry at the TU Munich. His consecutive Master’s studies consisted of an Organic Chemistry major and an Analytical Chemistry minor. He received his MSc degree in 2016, with a thesis on antibacterial hydroxyapatite/titania sol-gel coatings on stainless steel. Marcus is now doing his PhD on “Malts for control of trace elements with pro-oxidative effects during the brewing process and in finished beer” at the University of Copenhagen under the supervision of Prof. Mogens L. Andersen. He is part of the Marie Curie ITN EJDFoodSci. True to his study years, Marcus’ favorite beers are wheat beers, with particular fondness of the Weizenbock Schneider Weisse Aventinus. Roland Pahl has built up his brewing profession from scratch started working as a brewer at the Schultheiss Brewery in Berlin up to his doctorate degree in brewing technology. After university education he started his career working at VLB Berlin, as a scientific assistant to the Chair of Brewing Technology of the Technical University Berlin. In January 2004 he changed to work at VLB. This research and training institute has been working for more than 125 years in the field of research, development and training for the brewing industry. For 10 years Roland managed the Engineering and Packaging Institute before taking over the Research Institute for Beer and Beverage Production in 2014. Gert De Rouck: Born in 1974. Studies: Academic degree in Industrial Engineering – Biochemistry at KaHo St.-Lieven, Gent, Belgium (1996). PhD in bioscience engineering at KU Leuven (2013): System changes in wort production for the improvement of the flavour stability of lager beer. Appointments: 1996-1997: production engineer at lambic brewery De Troch. 1997-1999: project assistant at KaHo St.-Lieven. 1999-2001: Product development at the “proef”brewery. 2001 – present: Master brewer of pilot brewery (2-5 hl) KU Leuven@TCGent. Courses (theory and practice) in malting and brewing technology and biochemical engineering techniques; courses in the European Master of Food Science, Technology and Nutrition, module Malt and Beer Production; assistant scientist in Malting and Brewing Technology at the Laboratory of Enzyme, Fermentation and Brewing Technology of KULeuven@TCGent. 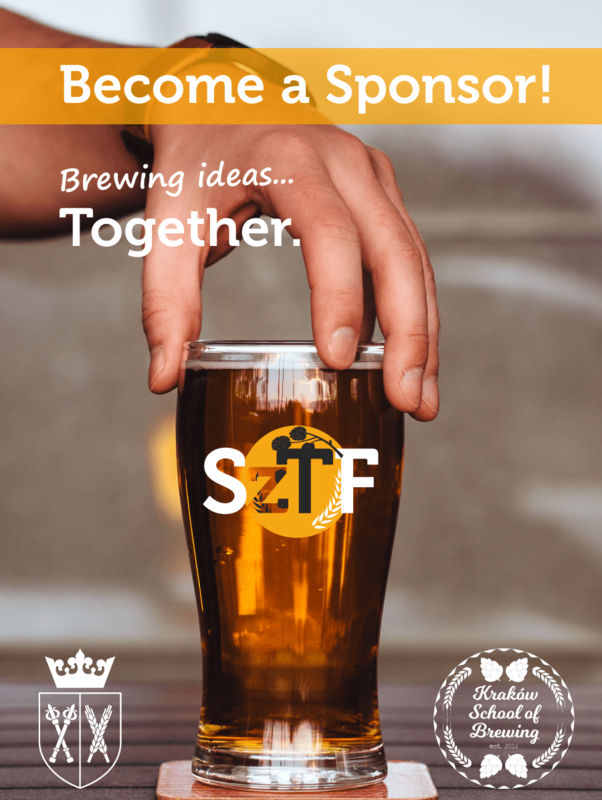 Research topics: wort production, flavour stability, mixed fermentations, high tech hopping. Mikrobiolog od lat związany z produkcją żywności na drodze fermentacji spontanicznej. Wykorzystujący drożdże nie-Saccharomyces w produkcji winiarskiej i innych gałęziach przemysłu fermentacyjnego. Prywatnie piwosz, fan piw kraftowych, zwłaszcza piw IPA oraz kwaśnych. Katja has a Bachelor of Science in Biosystems Technology/Bioinformatics from the University of Applied Sciences Wildau, a Master of Science in Biosystems Technology/Bioinformatics from the same institution and a PhD in Bioinformatics from the Julius-Maximilians-Universitat Wurzburg. She is an expert for image recognition of microscopic images and has published several papers in the field. Katja started her carrier at the TH Wildau as a postdoctoral research scientist before founding Oculyze together with the other cofounders. Katja enjoys volleyball and going swimming with her nearly 2 years old son! Rik Schuurman has been a Senior Process Engineer at Pentair since 1999, with over 25 years of experience in the brewing industry, including his time as a head brewer at Grolsche Brewery, The Netherlands. A brew master who has been specialised in design, engineering, commissioning and start up, of all kind of brewery systems. With the last 15 years a involved in worldwide sales of brewery projects, particular emphasis on Beer Membrane Filtration, as an alternative to kieselguhr filtration. Jonas Trummer is a Phd student at the University of Agriculture in Krakow within the European Joint Doctorate in Food Science (PhD School in malting and brewing). Graduated from the TU Munich-Weihenstephan where he accomplished the B.Sc. and the M.Sc. in Brewery Science and Beverage Technology. He did exchange programs at Corvinus University Budapest and University College Cork, where he wrote his master thesis about the influence of LAB on malt quality. Before starting the PhD in 2017, he was working for two years for a medium sized brewery in Germany in the position of a quality controller.